Give employees the power to select their own email signature campaigns. Provide users with a number of choices as well as a recommended, default campaign. Employees can then choose the campaign that is the most relevant to the customers and prospects they are emailing. 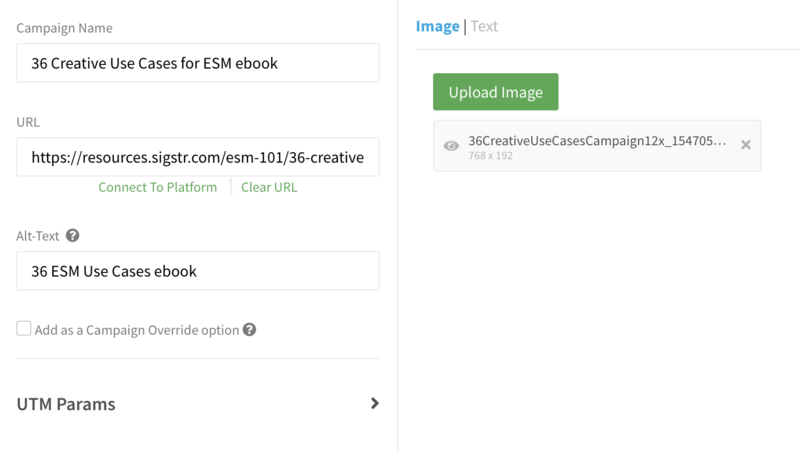 Follow the instructions below to create multiple campaign options for your user base. Navigate to the Groups page and select Edit Group (pen button) for the employee segments you would like to enable employee banner selection for. Under the group profile, check the box next to Campaign Override and then click Update. 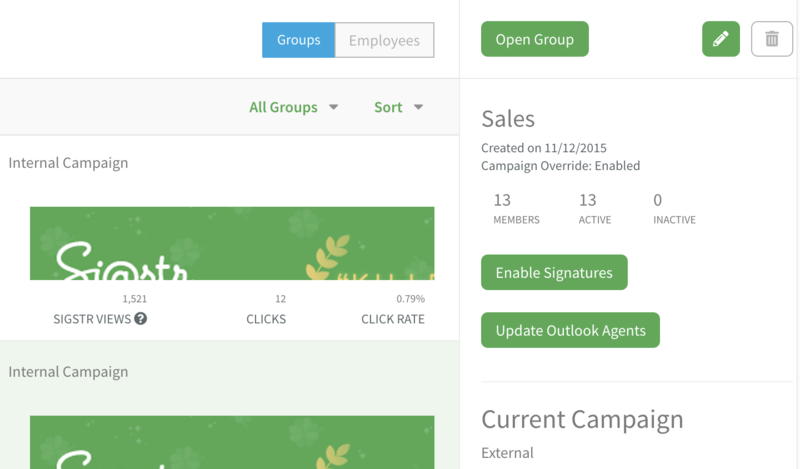 With your groups enabled, it's time to create a number of campaign options for your employees to choose from. 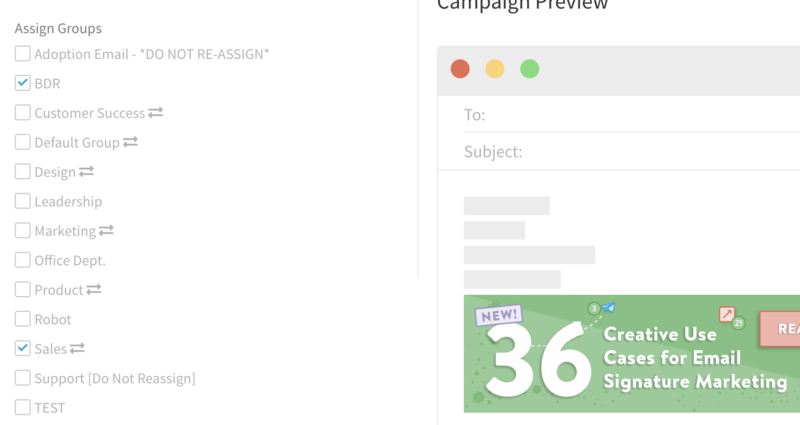 Navigate to the Campaigns section and create (or edit) a campaign as usual. On the details page, check the box next to Add as a Campaign Override option. Check which groups you'd like to give the campaign option to. You can see which groups have Employee Banner Selection enabled by the double arrow icon. Click Save. Repeat the process until you've created a number of campaign options for your employees. Once you have made the appropriate selections, employees will be able to access their options via the Sigstr Chrome Extension. Employee directions can be found here. Employee campaigns will always default back to the sender-based or ABM campaign if no employee interference is made. To choose one of the Override Options, employees must make the selection for each individual email. Once selected, the override option will be the campaign delivered, even for customers leveraging ABM.